Satanic symbols spray-painted by night, worshipers awake to find vandalized house of prayer. 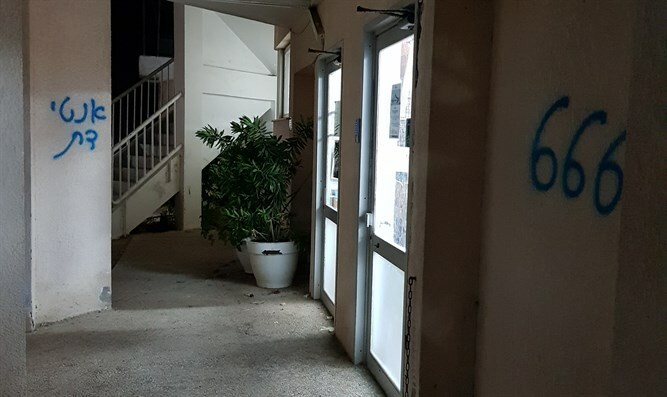 The Macdonald Street synagogue in Netanya was vandalized last night sometime around 23:00. 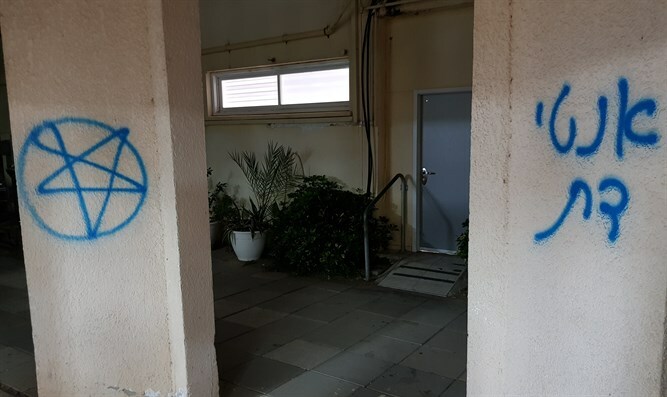 "Anti-religious" and other satanic symbols were spray-painted on the building's side door to the study hall. Residents report the attack was unexpected, as the area had not been experiencing political-religious tensions.